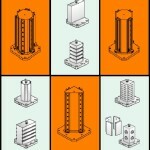 Jvonne Cubes come in various shapes and sizes for the many applications that they are required for. Jvonne Multi-Grip Work Cubes are whole application systems which come in various shapes and sizes to handle materials of various weights and lengths. Our application systems range from triangular to hexagonal to octagonal shapes to increase efficiency. 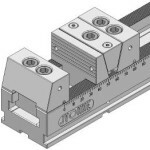 This line of Multi-Grip Vices differ from the competition because they can clamp many items at once to serve multiple applications, and they offer increased force. Another main aspects is that they are very flexible making this product easy to use, as the components can be easily shifted and are interchangeable between vices of different widths.